Obituary for Catherine Neal Hartman | Fletcher Funeral & Cremation Services, P.A. Catherine Neal Hartman, 86, of Westminster, died January 30, 2019, at Seasons Hospice. Born on April 2, 1932, in Greensboro, NC., she was the daughter of the late Fred A. and Blanche W. Neal. She was the wife of the late Robert H. Hartman who died on February 11, 2007. Catherine was a 1955 graduate of Guilford College in Greensboro, NC., where she earned her Bachelor of Arts degree in Religious Studies. She attended graduate school at Boston University School of Theology, and at Western Maryland College. She taught special education and English at Westminster High School from 1970-1989. She moved to Westminster with her family in 1969 when her husband became a member of the faculty in the Philosophy and Religious Studies Department at Western Maryland College. She became a member of Westminster United Methodist Church in 1969, and over the years held leadership positions in the church in the areas of worship, membership, Evangelism, and the Committee on the Statues and Role of Women. She served on the Justice Committee, Alter Guild, Staff Parish Relations Committee, Council on Ministries, and the Administrative Board. She was a fifth grade Sunday school teacher and was co-director of the middle school church youth program in the 1970’s. She was a volunteer in the church office, at the Loaves and Fishes Soup Kitchen, a member of the United Methodist Women and the Sarah Circle for many years. She was a member of the senior adult outreach program of the church, the Federated Woman’s Club of Westminster, Inc. since 1984, a lifetime member of the American Association of University Women, a former Carroll County Branch President, a volunteer at Carroll Hospital Center from 2002-2018, and a member of the Carroll County Democratic Central Committee from 2007-2010. She was an avid Orioles and Maryland Terps fan, and she loved spending time with her family and friends. She was also an animal lover. Catherine is survived by her daughter and son-in-law Carol and Mark Kelbaugh of Westminster, daughter-in-law Susan Hartman of Myrtle Beach, SC., grandson Ryan Kellett of Myrtle Beach, SC., nieces and nephews James Weatherly Neal, Jr., Richard Kelly Neal, Dr. Bryan Neal, Kevin Neal, Shelly Neal, David Neal, Sharon Neal, and Karen Harris, cousins Harry Weatherly, Jr., Nancy Wise, Jay H. Barnes, Jr., and Janie Barnes, and sister-in laws Eileen Neal and Earlene Neal. 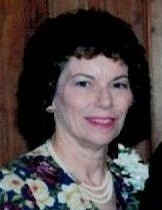 She was predeceased by a son David A. Hartman, and brothers James W. Neal and Fred A. Neal, Jr.
A memorial service will be held at Westminster United Methodist Church on Sunday, February 10, 2019, at 2:00 p.m. In lieu of flowers memorial contributions can be made to Westminster United Methodist Church soup kitchen, or to the Carroll County Humane Society at https://hscarroll.org/donate-by-credit-card/.